For many times I was asked, what are my TOP 5 travel destinations, but I was never really able to decide, which would be so unique, so special and so great, to put it on my TOP 5 travel list. Each destination visited has unique memories and stories. But I do believe, I have finally found my TOP 5 travel destinations so far. Whenever Simon and I travel to Greece we try to stop at the Meteora. 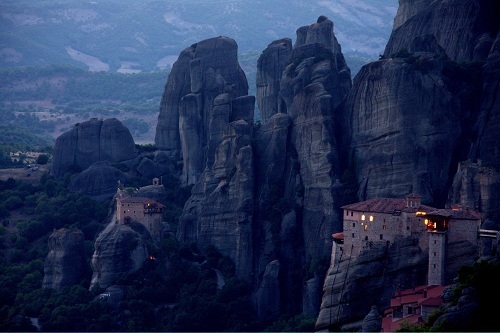 Meteora is not just my favorite place in Greece, bit it is one of the most magical places I have visited. Turkey has been one of my favourite travel destinations for years, but I wanted to visit Cappadocia ever since I lay my foot in Turkey. I needed to wait wait to long to finally explore the fairy chimneys landscape. 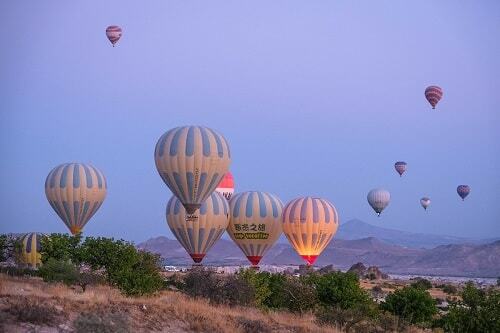 I was actually a bit afraid when finding myself there, as I had really high expectation for Cappadocia, but luckily, I was blown away with each step I made. It has been almost 10 years when I did the trekking between Banaue and Batad and finding myself among the spectacular rice terraces. I am not sure, how time changed this destination, but when I was there, there were hardly any travelers. 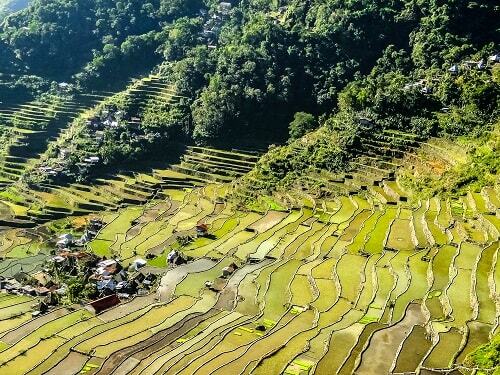 A walk among more than 2000 years old rice terraces was for sure one of a kind experiences, but when reaching the view down to Batad and its rice terraces, I became speechless. I love water, but that does not mean that each water destination impresses me. 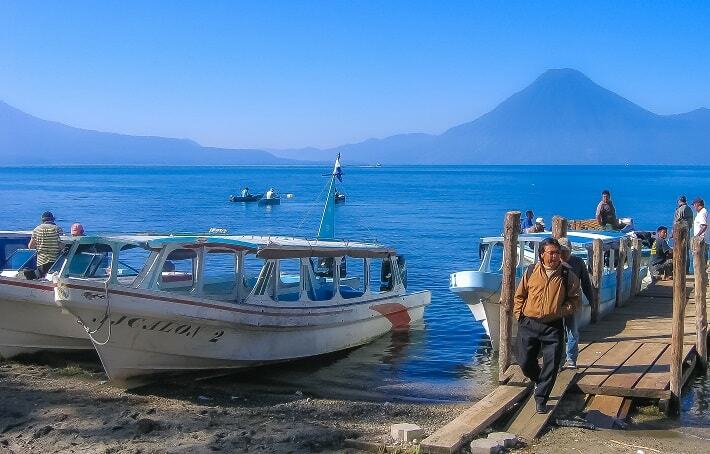 There are many destinations I like, but I often think of the mind blowing Lake Atitlan in Guatemala. Nature really is magnificent and when having some time for yourself, for relaxation or meditation, Lake Atitlan sure is one of the best places to do it. I have travelled to »black« Africa only once, but I was immediately swiped away because of its wilderness and pureness… Traveling around Africa is so powerful, but with that also so painful because of the poverty and hunger… During the Uganda travel I was really impressed over the Karamojong tribe on the NE of the country, but exploring its national parks was one of the most precious memories I have from my travels. Nothing can beat seeing wild animals just few meters away from you, with no fence to protect you against them. 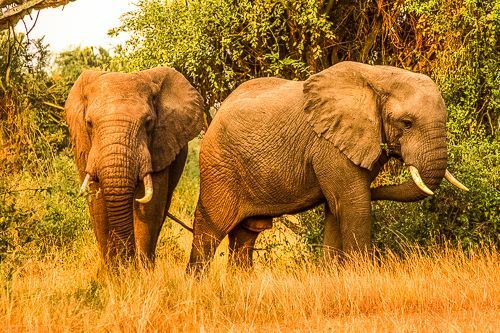 We visited several parks and one of the best one was the Queen Elizabeth NP. So far these are my TOP 5 travel destination, but I am sure, the list will be changing throughout the years and with new visited destinations. I would love to hear which are your TOP 5 travel destinations and what should definitely be put on my travel bucket list.